The Refugee Crisis and the Mediterranean Sea – The Largest Graveyard in Modern History 2.6666666666667 out of 5 based on 9 ratings. 9 user reviews. These aren’t refugees, they are migrants. Calling them refugees is a psychological tactic meant to install pity in us so we keep on accepting them. The only thing they flee is poverty in Africa and the promise of the good life in the land of milk and honey in Europe. Understandable, but I fail to see why we should give free housing, money and healthcare to the destitute of Africa when we don’t even give that to our own people. They should be sent back to Africa without mercy. Not because we want to be cruel, but because we want to be kind in the long term. The more we keep accepting, the more will keep on trying to make the crossing, and as a result the more will drown. If they get the message that fortress Europe is finally closed, maybe then they will stop coming, and then the drowning will finally stop. Like it happened after Europe made the deal with Turkey. Remember how many people were drowning there almost every day? Also, if you can find the money to pay people smugglers thousands of dollars to get yourself into Europe, why not use that money to make something of your life in Africa instead? ill till now Europe stealing diamonds and gold from Africa… so, eat what you cook., bcoz its never *stop coming*. I’m not stealing anything from Africa. I’m just a guy living in Europe. Sue the corporations who are doing it. Why should I be made to pay for their greedy behavior. Also, without the locals who mine it, sell it and often inflict terrible suffering on other locals nothing could be stolen from Africa. Africans are to blame for Africa’s problems as well. If not more so. absolutely agree, but to stop this coming all, Europe should help Africa to build good life in Africa. You can’t help these people and they wont help themselves. They will just keep leeching until Europe is just like Africa. That is the problem with multiculturalism, it drags everyone down to the lowest level. – everything which is in Europe is built by Europeans for Europeans – ditto for other continents. Why in 2018 – the Africans are not able to build “goid life” for themselves? My hearth is bleeding for “Europe stealing diamonds and gold from Africa” .. as if the local African warlords/dictators do not get their share of the business – right? Well, why not set up a collective business instead? Rather then send one guy over here to leech off our social security? If you can raise capital to buy people smugglers, you can raise capital for something really constructive. And yes, that business might fail, but that guy may end up a slave in Libya, or drown in the Med, or disappear in Europe and not send anything back either. That makes sense. It seems like instead of employing a whole industry of thousands of people to take care of socalled refugees in Europe, we would be better served in sending these do-gooders to Africa to educate and train the people there. If they can learn to read and basic business skills they can finally use their resources to better themselves. They will be happy, the do-gooders will be happy, and the rest of us will be happy as well. No more immigrants plus it will be cheaper as well. Everybody wins! These weren’t murders, these were encouraged suicides. Encouraged by the likes of MSF and friends. The only sad part about this is that it weren’t 50.000 that drowned. I am certain in my own mind that sufficient have landed so as to change the future of Europe for ever. The true crime against humanity has been committed against us. But then again we don’t matter . Just like the Asian hordes that invaded under the Khans and so forth. The Moorish invasions from Africa into Europe. The Arab/Jewish invasions of Europe. And on and on. It had always been about genociding indigenous Japetic tribes for 10,000 years. They are not “refugees” or “migrants” or “asylum seekers.” They are invaders, and should be treated as such. I am surprised. With such extensive knowledge and experience the author is misguiding the readers, loading the blame on Europe, ignoring the real culprits. A spade is a spade, Peter. You are using the drama to shift the attention from the real culprits behind this crime and drop it onto the Europeans. Well, well, we know that this is not exactly the way it happened. We also know that some NGOs encourage some naive people from Africa to go to Europe for “greener grass”, they spent about 2 months in Syria where they have a chance to chose to become mercenaries and if they don’t they are loaded on the ships and delivered to Europe. I don’t wonder whose “invisible hand” is behind it. I had to stop reading after that stupid comment. Liberals have a wide definition of murder and I am sorry to see Southfront echo that ignorance and liberal propaganda. 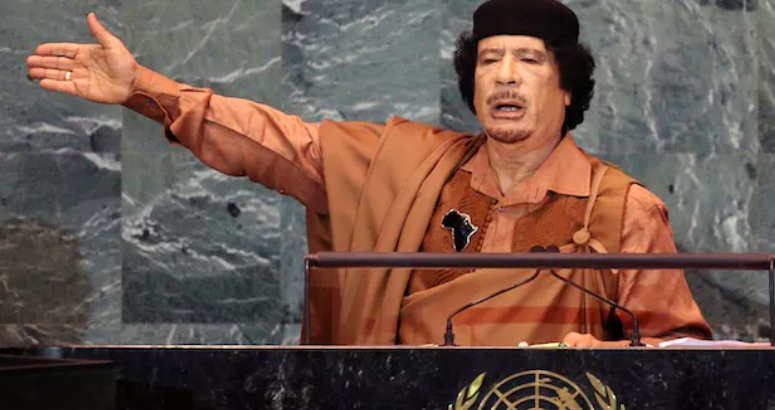 Ghaddafi (from the grave): “Remember when I told you stupid fuckers that the Libyan state was the only thing keeping Europe from being overrun by swarms of economic migrants from Africa? You can’t just let in a few hundred thousand in to keep wages low, then make futile attempts to keep the rest out. 740 million Europeans, 1.3 billion Africans. The UK-Empire is not part of the continent of Europe, it is an island just as Australia is not part of the continent of Asia, it to is an island. Millions of Europeans have been killed by the evil-UK trying to shove the Norwegian/English mix off of their European continent. In every single war the UK has fought against Europeans. #1 It is not Europeans who first colonized, the racist-African-Moors genocided enslaved and conquered millions of Spanish and French and Italians and Goths and so forth. #2 The racist-Asian-Mongols genocided away 120,000,000 indigenous Japetic tribes of Russia and Europe over a 300 year period of genociding indigenous cultures. #3 Millions of Shemitic-Arabs/Jews spent hundreds of years invading and mass killing millions of Europeans expanding their ‘Caliphate of Shemites’ into Europe. This article written is 100% anti-Japetic bigotry. Russia has made a great movie about the largest invasion and genocide in earth history. The world needs more Russians like the great Kolovrat!!! 700 million ethnic-Europeans, 1.3 billion ethnic-Africans. 5 billion brown people on earth. clearly Europeans have always been earths true global minority. 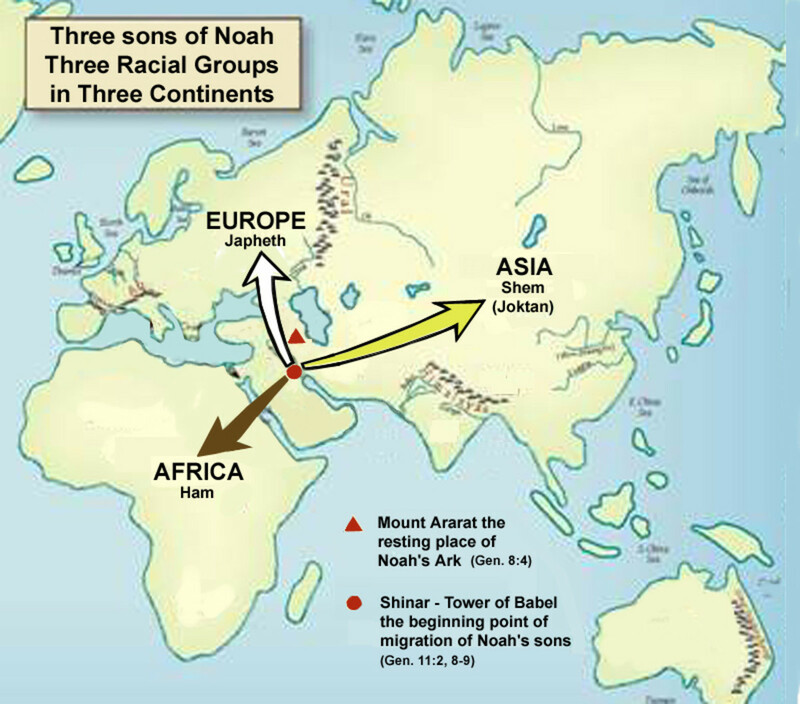 Blacks are the 2nd majority, and brows are earths global majority in every corner of the world they are always expanding, just like the hordes invasion of Russia and Europe. Soros NGO funded cruise liners. Bank and the World Health Organization. believe them, then they could avoid the Mediterranean all together. They could go to Egypt , South Africa, Morocco and many other places. other African country they would be told to piss off. Someone should inform the writer of this snowflake essay that we are in 2018. Many African countries are run by African dictators ( in some cases with truly record period of holding power) or by African corrupt governments since the time of decolonization – if these African countries are in ruins the African cannot blame any other but themselves. Of the African who died trying to get in Europe to live at the cost of the European tax payers I could care less – and by the way sometimes are from Pakistan or Bangladesh ( the latter I truly despise ) , so strong is the attraction to get social benefits.